Extreme Programming (XP) is an agile software development framework that aims to produce higher quality software, and higher quality of life for the development team. XP is the most specific of the agile frameworks regarding appropriate engineering practices for software development. 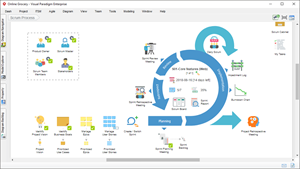 Scrum is a framework within which people can address complex adaptive problems, while productively and creatively delivering products of the highest possible value. Scrum itself is a simple framework for effective team collaboration on complex products. Scrum and XP are both Agile approaches that share the common concepts of iterative development, working software, release and iteration planning, daily meetings, retrospective, all elements of an Agile process. Both approach are aligned each other that sometimes is difficult to distinguish between a team who is adopting XP while another team who is doing Scrum. Typically from two weeks to one month long. Typically one or two weeks long. Do not allow changes into their sprints. 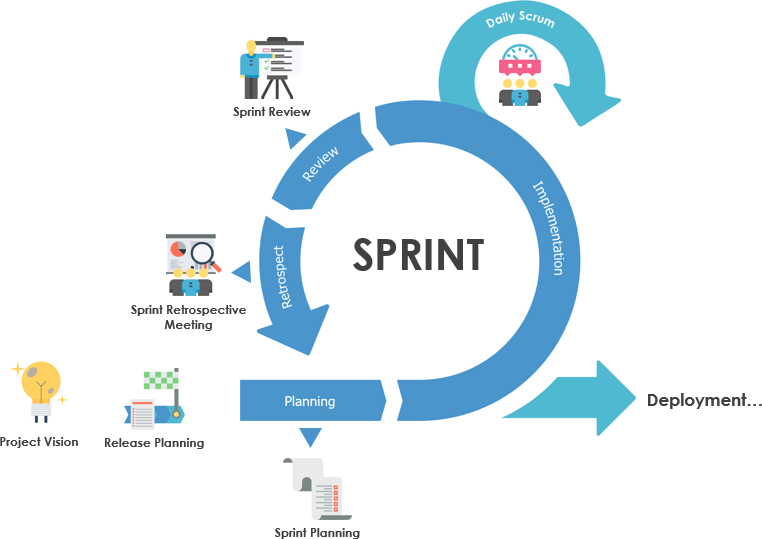 Once the sprint planning meeting is completed and a commitment made to deliver a set of product backlog items, that set of items remains unchanged through the end of the sprint. Much more amenable to change within their iterations. As long as the team hasn’t started work on a particular feature, a new feature of equivalent size can be swapped into the XP team’s iteration in exchange for the un-started feature. 3. Whether User Story is implemented strictly according to priority in iterations. Work in a strict priority order. Features to be developed are prioritized by the customer (Scrum’s Product Owner) and the team is required to work on them in that order. Scrum product owner prioritizes the product backlog but the team determines the sequence in which they will develop the backlog items. A Scrum team will very likely choose to work on the second most important. Handle Changes with an Iteration Whether the demand is strictly in accordance with the priority It can be replaced with other requirements when a need is not implemented, but the implementation time is equal. Scrum is not allowed to do this. Once the iteration is completed, no changes are allowed, and Scrum Master is strictly checked. In XP, it emphasizes strong engineering practice constraints. Scrum is a framework for product development, which is a container where you can add other practices. XP is one of those practices that you can do within Scrum framework. There are no reasons why a team should choose between Scrum and XP. XP rules and practices are not easy and the majority of XP rules are non-negotiable. Adding XP into Scrum could be a natural path for teams starting out with Scrum and striving to be a professional Scrum Team.